Unfortunately we can not help you as we have NO record of your appointment. You are more then welcome to contact us directly to discuss your experience. We're certain you the wrong company. Plumbing issues done right the first time. Great service! Royal Plumbing were very polite, efficient, informative, and knowledgeable. They gave my mother options for what she needed to have done, with complete estimates for each option. They cleaned up everything after he finished, and made sure she was happy with their work. I will definitely be requesting them for future plumbing problems, and will recommend Royal Plumbing to friends who need plumbing work done. Kitchen renovation, bathrooms, drain work and radiant heating. 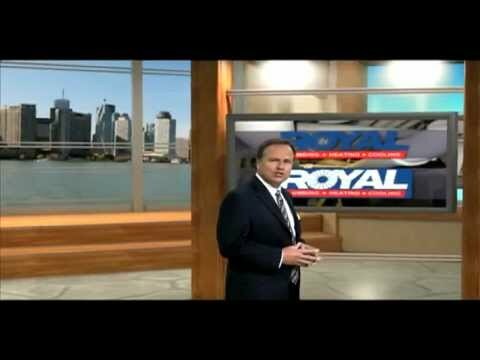 The professionalsm of the team at Royal is unparalleled. I have been depending on them for the last 2 years and not once have I been disappointed. I am a building contractor with a variety of projects including taking care of an apartment building. Whether it’s a new project or a service call their work ethic is top notch. I had a really annoying issue with my toilet that I couldn't deal with. When I called royal plumbing they were easy to set up an appointment with. Mark B came to my place and he was in and out super fast and super professional would recommend. Thank you for taking time out of your busy schedule to write a great review. Mark is always trying hard to keep our customers Happy. Thank you again. The service provided was excellent. Royal plumbing responded to request quick. They were very accommodating. The plumber was able to fix the problem and was very professional. Would use them again and would highly recommend. Mitch.and Mike are consummate professionals. Handled all permits, locates and final cleanup. No hassle and delivered as promised. On budget and on tone. I need to mention their great personnel, Jorge and Paul. Ok. MIKE TOO. Royal Plumbing thanks you for taking time to write a review. Our plumbers Jorge and Paul appreciate your gratitude as well. We have a fairly good size home and never use the basement unless for washing cloths. I went down early morning to start a load of laundry but stepped in 2 inches of water. Immediately i check for plumbers, found royal plumbing being local company called them. Plumbers came out quickly to check my basement water. Plumbers told me it was sewage water not clean water. Plumber checked a way to put a big snake in pipe to clean out pipes. Plumbers said maybe you have a small problem. He showed problem on camera and it was roots. Mark told me he recommended to replace a small section to correct this problem, and so i did. Mark put a tarp down and by the end of the day all was good but clean! Thanks mark and paul. Thank you for taking time out of your busy schedule to write a great review. George and Mark is always trying hard to keep our customers Happy. Thank you again. 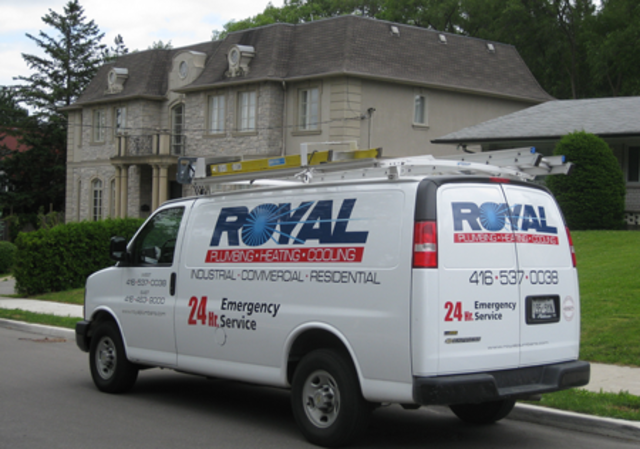 Royal Plumbers are dedicated plumbing perfectionists in Toronto & GTA Regions, who understand the value of your time. Our reliable plumbing services help provide beauty, convenience, and value to your Toronto home. Royals superior knowledge of both vintage plumbing and radiators owes much to their fathers experience of over 50 years. Royal Plumbers rock solid reputation is built on customer care and support: Every customer is important, every community addressed, every problem given proper consideration. Our trucks are fully loaded with whatever parts, tools or machines necessary. Service calls involve a thorough inspection. Pricing policy that straightforward: No hidden costs, no surprises. Your call is taken directly by a licensed plumber who discusses your problem and identifies it – before coming over. Sometimes, a problem can be solved over the phone free of charge.